Hines served as the Development Manager of the four-year renovation of the El Paso Corporation Building (now Kinder Morgan Tower) in downtown Houston. 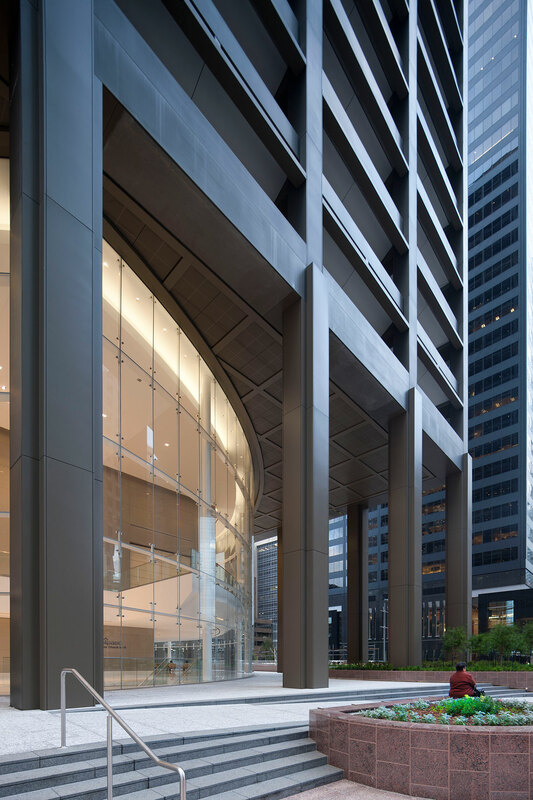 The project reshaped the image of a classic 45-year-old building, providing successor, Kinder Morgan, Inc., with a distinctive and functional headquarters for years to come. 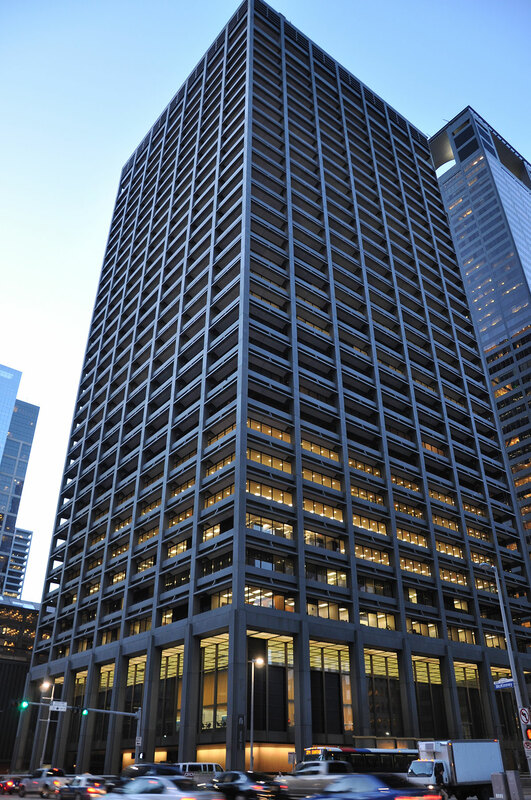 The complex project was accomplished while the 32-story, 1,039,000-square-foot office building remained fully occupied. With that in mind, the Hines team went about dissecting, dismantling, replacing and relocating the building’s MEP systems, while keeping the building 100 percent functional. This technical challenge had to be carefully orchestrated between the designers, MEP subcontractors and building engineers and accomplished in phases. Gensler Architects and I. A. Naman Engineers designed the project, which includes a completely transformed street-level appearance. 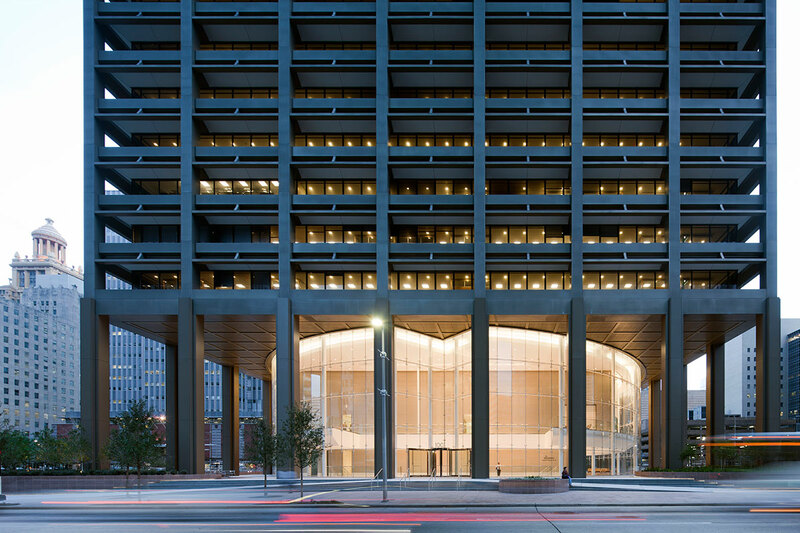 The first two floors were demolished and replaced by a transparent glass-enclosed lobby, creating a 360-degree, “see through” effect. It is an appearance unique in downtown Houston, warm and welcoming and glowing like a lantern at night. In addition to the lobby and executive floors, the renovation included the abatement, demolition and complete reconstruction of all 28 occupied floors, with the safety of the building occupants always priority one.